The more we meditate, the more we notice the subtle details behind our meditation practice. The way we set our body and prepare our mind; these little things become important to ensure both relaxation and concentration in our practice. Here are some basics that are good to remember for keeping up with your meditation routine. 1) Make time to start a day with meditation! I set time aside in the mornings as after I get into the schedule of the day, the mind will be less obedient and more tempted to follow different thoughts. It helps me avoid getting “rushed” into meditation and then rushing through breath, relaxation, pushing things and other counter productive tendencies in the mind. 2) Give importance to preparation! It starts with simple aspects such as choosing the place to sit. Warmth, light, comfort, space – the less crowded with stuff it is, the better. I sit with legs crossed on the floor and prefer to have enough room around me to stretch the legs. 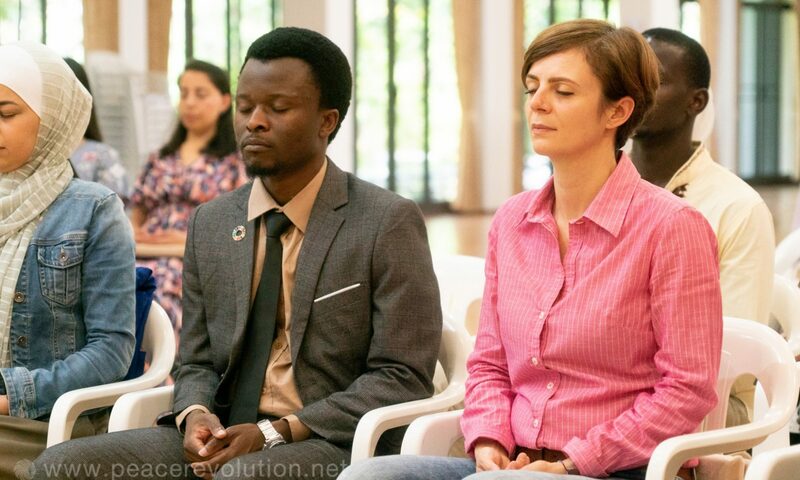 3) Meditation starts in the body! It has become and remains the foundation of my practice. In the past, I used to overlook the body, minimise its importance, even neglect sensations, such as hunger, thirst, pain, – wanting to focus only on the mind, which I believed to be deserving different levels of attention. The body is always reminding me: you are both body and awareness. Concentrating 100% inside and neglecting what is material is often leaving me with the impression of skimming the surface, as I am not relaxed enough. The body and the breath are my anchors to get into a meditative state of mind and have a good and relaxing meditation experience. 4) Let go of expectations! There is sometimes this need, even urge to have a different experience, to have the extraordinary experience. For me, keeping things simple is essential. So, when I sometimes get tempted by the wanting mind, it is a reminder to practice a humble attitude, to let go of the wanting, look with courage and honesty at myself. It is also about the practice of catching such attitudes and the expecting, wanting behaviours. 5) Make it simple! I strongly believe that the best meditations are those of simplicity. It gives me a sense of comfort in the body, a mental clarity that makes inner joy rise softly. If distractions and events that bother me are there, I learn to make a soft mental note of it. In the beginning, I can sometimes have a strong reaction, even anger towards myself or others. I work on accepting what is there, moment by moment. When I do the opposite and deny the feeling, or try to force it to go away, I am lost in a spiral of agitation. Softness and acceptance are the key to moving into neutrality. Because the only moment I feel quietness and comfort in the mind is when neutrality is there, stronger than anything else. Give it a try, start today. Next PostNext How to develop a true friendship?